In the 20 years since its establishment, Tabreed has become the region's leading district cooling provider. Through its 73 plants in the GCC, the company provides cooling solutions to landmark projects at the heart of national and regional economic development and diversification, while delivering significant savings in energy consumption, costs and carbon dioxide emissions. Located in Abu Dhabi, the majestic Sheikh Zayed Grand Mosque was initiated by the late President of the United Arab Emirates, HH Sheikh Zayed bin Sultan Al Nahyan. This architectural masterpiece was inspired by Andalusian architecture and is one of the most valued treasures of contemporary UAE society. One of the largest mosques, the Sheikh Zayed Grand Mosque can accommodate up to 40,000 visitors. 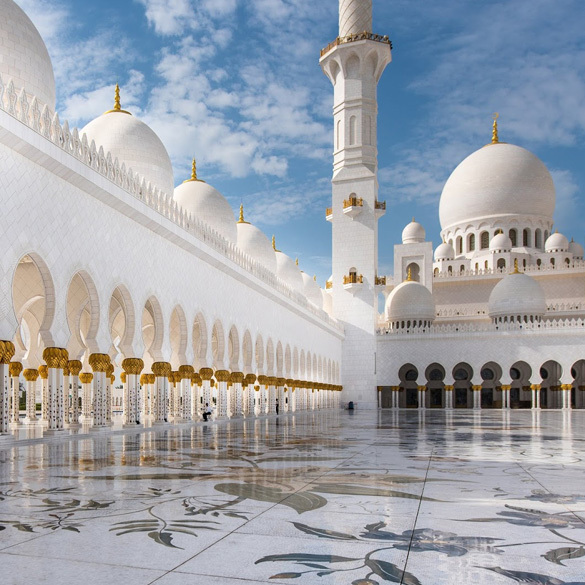 Tabreed has been supplying district cooling services to Sheikh Zayed Grand Mosque since 2007. Cleveland Clinic Abu Dhabi is a world-class multispecialty hospital on Al Maryah Island in Abu Dhabi, UAE. A unique and unparalleled extension of the US-based Cleveland Clinic’s model of care, Cleveland Clinic Abu Dhabi provides direct access to the world’s best healthcare providers and a unique model of care in the UAE, addressing a range of complex and critical care requirements and reducing the need for patients to travel abroad for treatment. 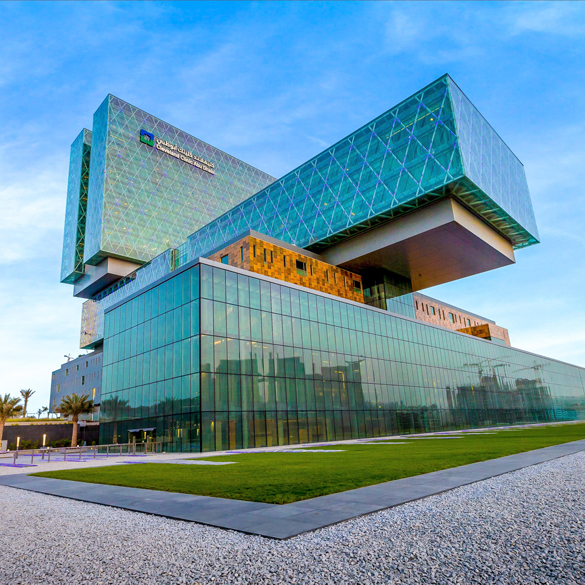 Tabreed has been supplying district cooling services to Cleveland Clinic Abu Dhabi since 2013. Ferrari World Abu Dhabi is one of the Emirate’s leading entertainment and tourist destinations. 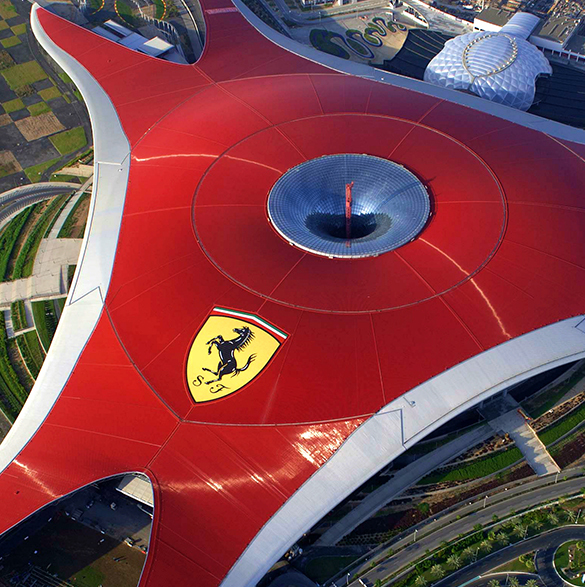 Located on the shores of Yas Island, it is the world’s only Ferrari themed amusement park. The Park has the largest space frame structure ever built with a 200,000-square meter roof. Tabreed has been supplying district cooling services to Ferrari World Abu Dhabi since 2010. Located in the center of the city and only a short walk to the Corniche, the Burj Mohammed Bin Rashid at the World Trade Center (WTC) is considered to be the tallest building in Abu Dhabi, comprising 474 units over 92 floors in the heart of downtown Abu Dhabi. The Residence tower forms part of a mixed-use development, with direct access to the WTC Mall, Offices and Courtyard by Marriott Hotel. Tabreed has been supplying district cooling services to Burj Mohammed bin Rashid since 2014. 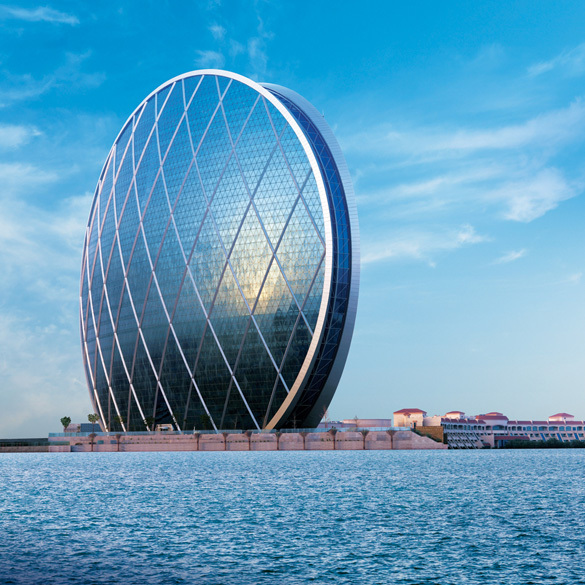 Situated on Al Raha Beach in Abu Dhabi, ALDAR HQ is one of the capital’s iconic commercial buildings. Set upon an elevated peninsula and standing at 121 meters in height, ALDAR HQ is distinguished by its distinctive circular shape with floorplates that retain a high level of efficiency. Tabreed has been supplying district cooling services to ALDAR HQ since 2010. 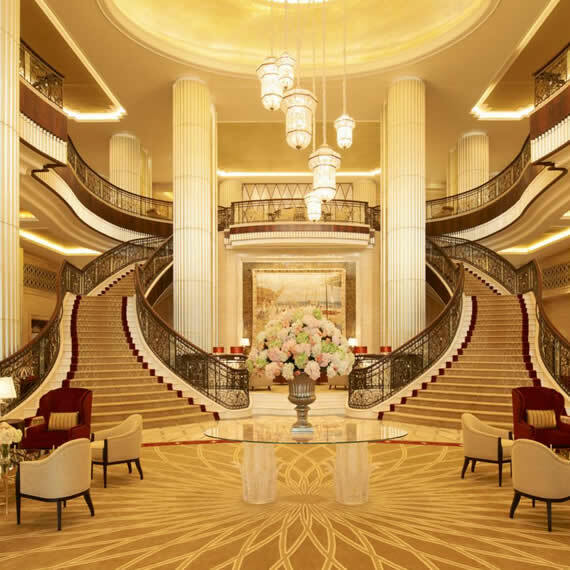 Set on the Abu Dhabi Corniche, in the Nation Towers, with 283 rooms, the St. Regis Abu Dhabi is one of the capital’s landmarks, just steps from the Federal National Council, Supreme Court, and corporate headquarters. St Regis Nation Towers has been receiving district cooling services since 2013. 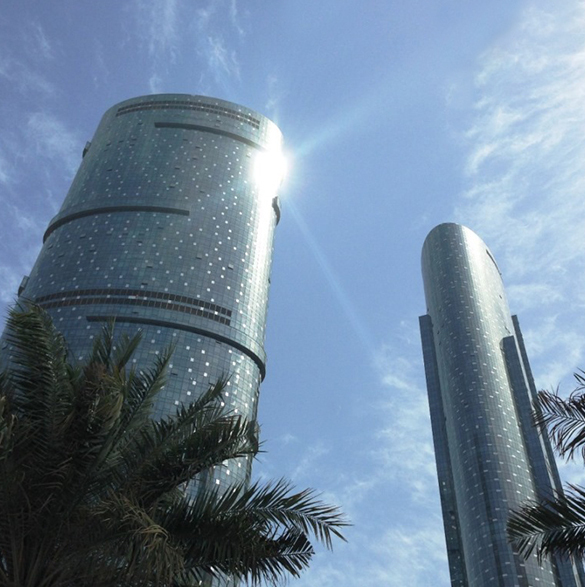 Sun & Sky Towers form part of Reem Island, Aldar’s flagship development on Al Reem Island, and are the two tallest buildings in the Shams Gate district. The 74-storey Sky Tower consists of a mixed use space with 474 residential units and 75,300 square meters of commercial office, whereas the 65-floor Sun Tower is entirely residential and accommodates 680 residential units. Tabreed has been supplying district cooling services to Sun and Sky Towers since 2010. 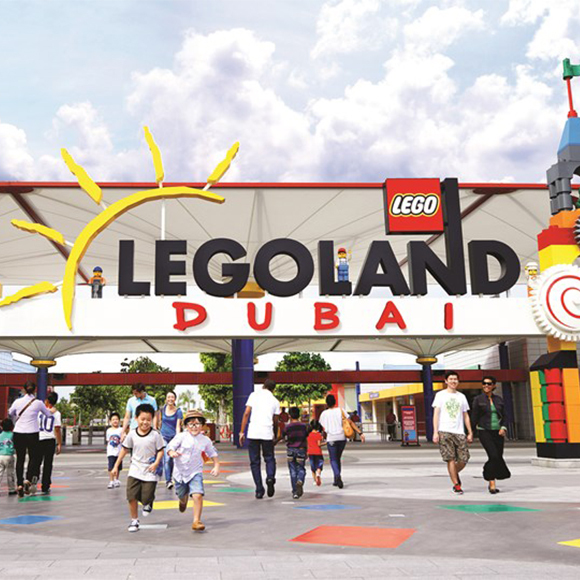 One of three theme parks as part of Dubai Parks and Resorts, LEGOLAND® Dubai and LEGOLAND® Water Park are large-scale year-round theme park destinations. Legoland Dubai covers a total area of 278,709 square meters. It features the first-ever indoor MINILAND attraction underneath an air-conditioned dome along with other indoor attractions and restaurants, catering to the local climate. Tabreed has been supplying district cooling services to Legoland since it opened in 2016. 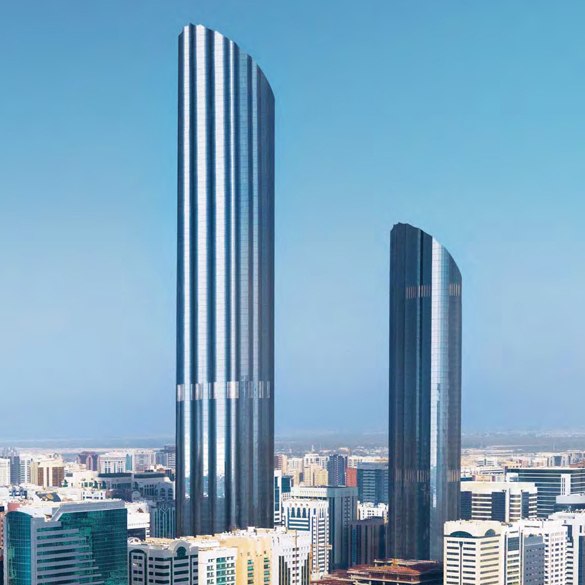 Covering a built-up area of over half a million square meters, Etihad Towers is a mixed-use development in the Ras Al Akhdar neighborhood of Abu Dhabi and overlooking the corniche. Etihad Towers features one office and three residential towers, with its tallest tower standing over 300 meters, as well as the Jumeirah at Etihad Towers hotel and serviced apartments and a high-end shopping area. 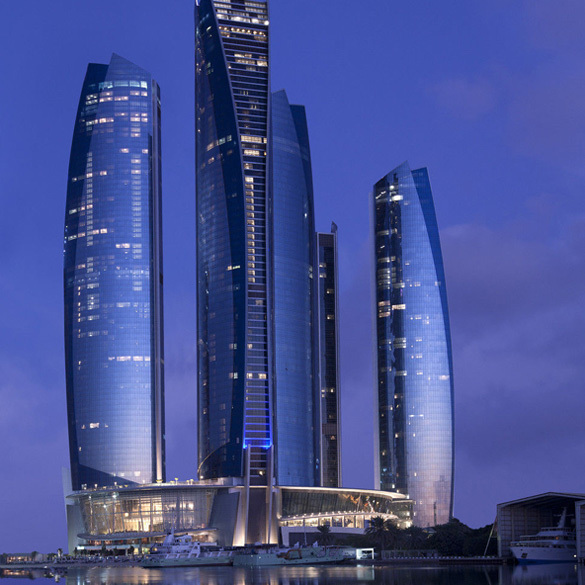 Tabreed has been supplying district cooling services to Etihad Towers since 2010. 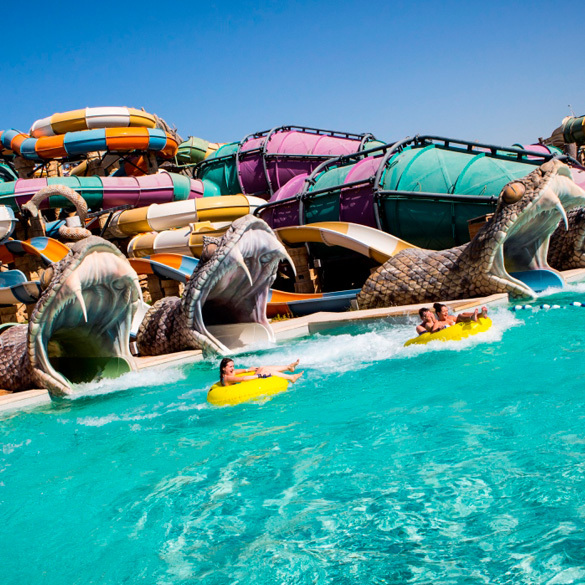 Yas Waterworld Abu Dhabi is one of the world’s largest waterparks and the UAE’s first mega waterpark. Developed by Al Dar and set across 150,000 square meters on Yas Island, it is the world’s only Emirati-themed waterpark and the first waterpark in the Middle East to be certified with the Estidama One Pearl green sustainability rating. Tabreed has been supplying district cooling services to Yas Waterworld since 2012. Spanning 75 kilometers in length, the Dubai Metro is the first infrastructure project of its kind in the Arabian Peninsula. Recognized for its sustainable and energy efficient design, it is the world’s longest driverless and fully automated metro network, with a combined total of over 47 stations. 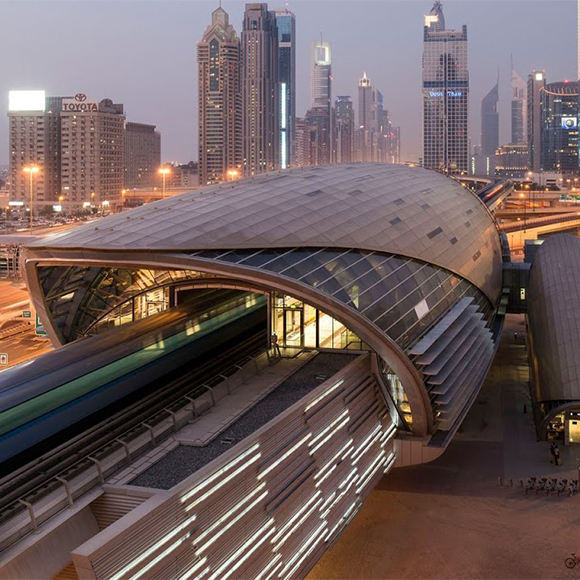 Tabreed has been supplying district cooling services to Dubai Metro since 2010. 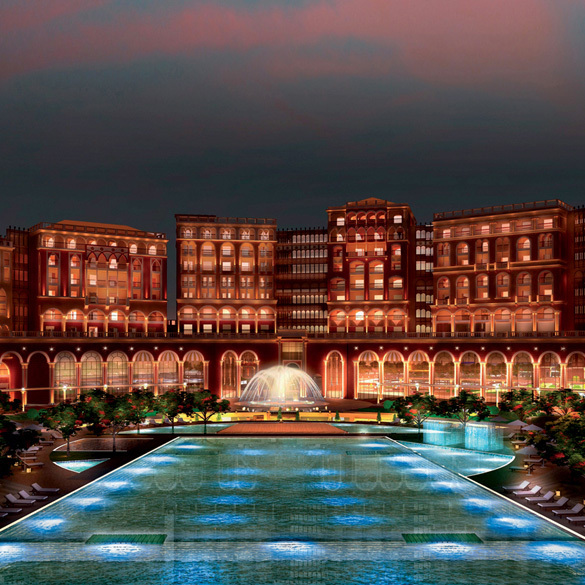 The Ritz-Carlton Abu Dhabi, Grand Canal features 85 private villas and 447 guest rooms and suites. The hotel has a private beach that overlooks the Grand Canal. It was previously known as JW Marriot and officially opened as The Ritz-Carlton on 12 March 2013. Located in the heart of Dubai on Sheikh Zayed Road, the Shangri-La, Dubai Hotel is one of the city’s landmarks, within walking distance of the World Trade Centre, Dubai International Financial Centre, Downtown Dubai and Burj Khalifa. A 5-star business and leisure hotel, it offers 302 luxuriously appointed rooms and suites, as well as several restaurants, spa and other amenities. 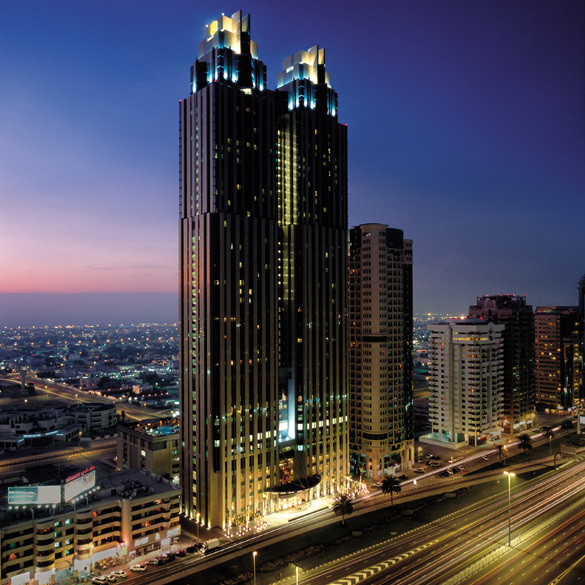 Tabreed has been supplying the hotel Shangri-La, Dubai with district cooling services since 2003. Located in the heart of Abu Dhabi, the World Trade Center Abu Dhabi (WTCAD) development occupies 5 hectares of prime city space, comprising luxury apartments, grade “A” office space, restaurants, world class hotels, branded retail outlets and a traditional Arabian souq – the Central Market, which has played a vital role in Abu Dhabi’s history. Tabreed has been supplying district cooling services to WTCAD since 2010. Tabreed operates in Saudi Arabia through its affiliate “Saudi Tabreed,” formally known as Saudi Tabreed District Cooling Company. 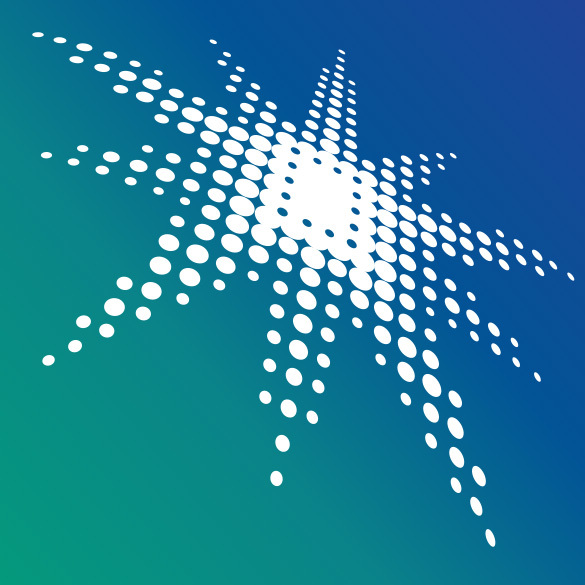 Through its 80-year history, Aramco has become a world leader in hydrocarbon exploration, production, refining, distribution, shipping and marketing, and the world’s top exporter of crude oil and natural gas liquids (NGLs). Saudi Tabreed has been supplying district cooling services to Saudi Aramco’s Dhahran complex since 2013. 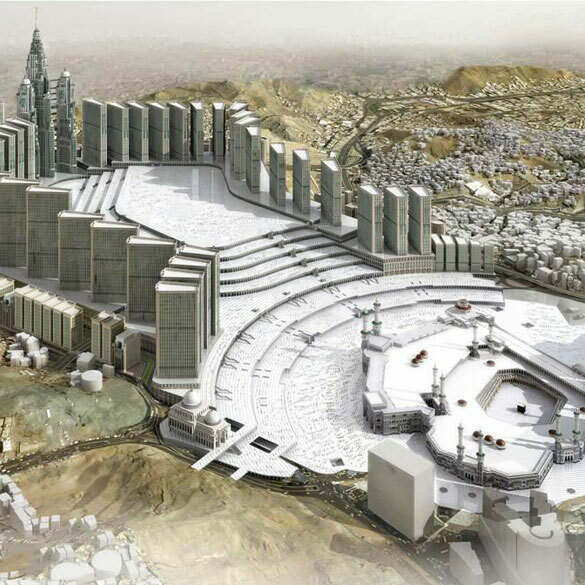 The Jabal Omar Development Project is a major commercial and residential project being developed around the Holy City of Mecca. Saudi Tabreed has been supplying district cooling services to Jabal Omar since 2014. 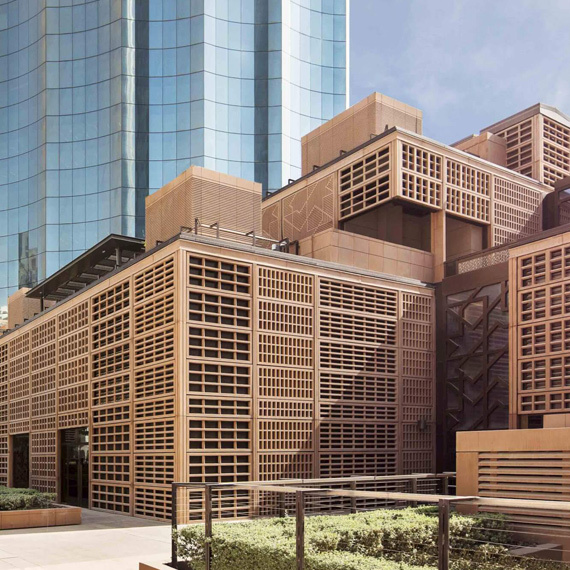 The King Abdullah Financial District (KAFD) is set to become a leading financial center in the Middle East, providing an attractive working environment for the growing workforce in the financial sector conceived as part of the overall economic diversification programme in Saudi Arabia. Saudi Tabreed has been supplying district cooling services to KAFD since 2013. The Pearl-Qatar occupies a prime location off the coast of Doha’s West Bay and boasts an assortment of residential accommodation for every taste and style. High-end retail and lavish hospitality, three world-class marinas and an impressive beachfront. 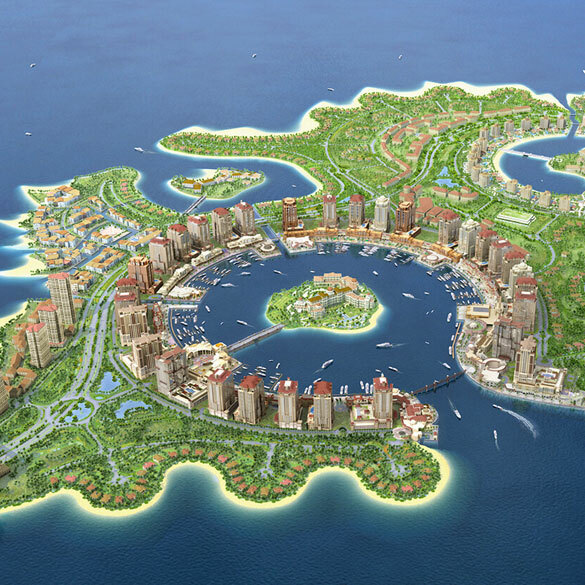 Qatar Cool has been supplying district cooling services to the Pearl since 2010. 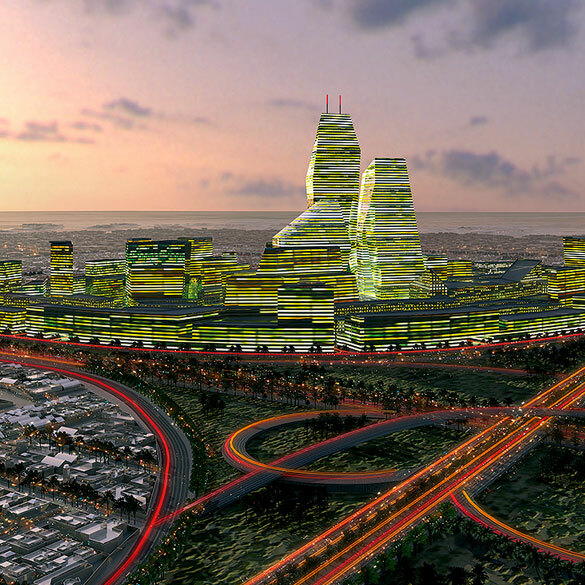 The West Bay development is considered one of the most prominent districts of Doha, and includes many modern residential and commercial buildings. 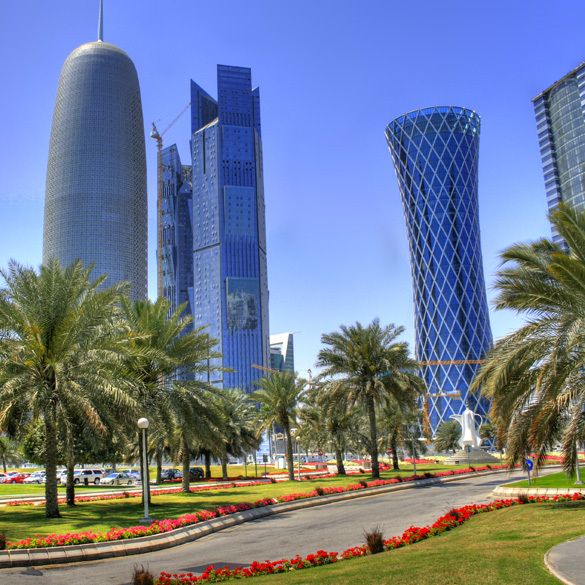 Qatar Cool has been supplying district cooling services to The West Bay Since 2006. Tabreed operates in Oman through its subsidiary Tabreed Oman SAOC. 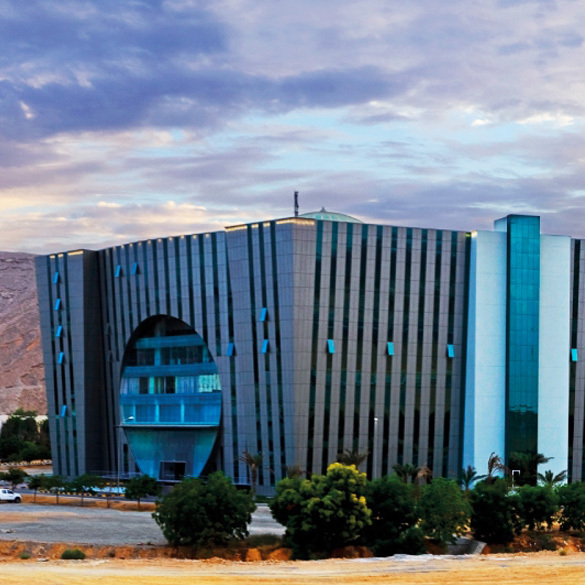 Opened in 2003, Knowledge Oasis Muscat (KOM) is the Sultanate of Oman’s flagship technology park. 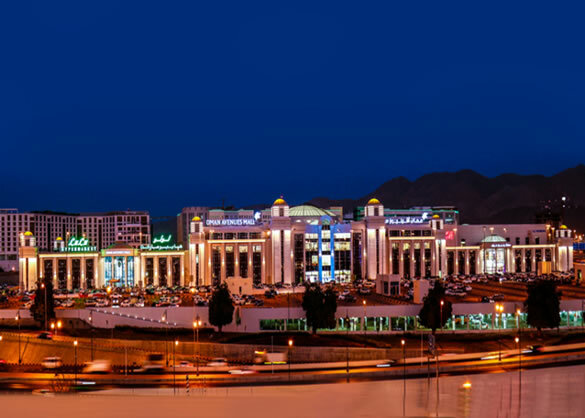 Oman Avenues Mall is one of the largest malls in the Sultanate of Oman, featuring prestigious retail brands and fine dining options. Tabreed Oman has been providing cooling services to the mall since its opening in 2015. Bahrain District Cooling Company BSC (Tabreed Bahrain) is a private sector joint venture company majority owned by Tabreed. 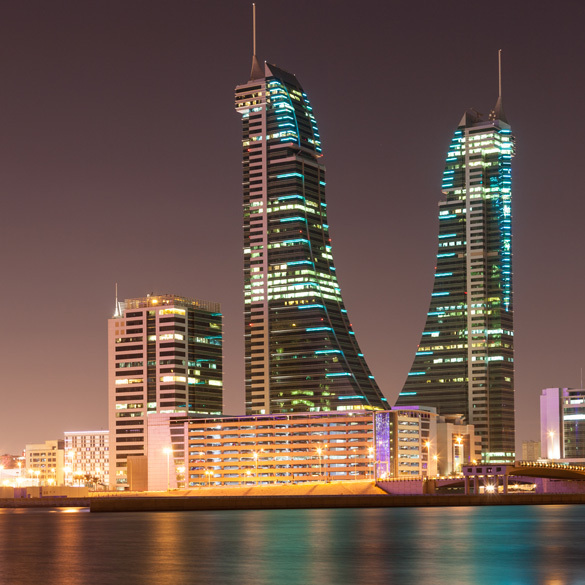 The company currently operates a district cooling plant that runs using sea water and provides cooling services to some of the most prestigious developments in Bahrain. The Harbour district covers 380,000 square meters of prime Bahrain waterfront property, featuring high specification office space, both in design and leading technology, luxury residential accommodation, together with retail hotel, leisure and entertainment opportunities. 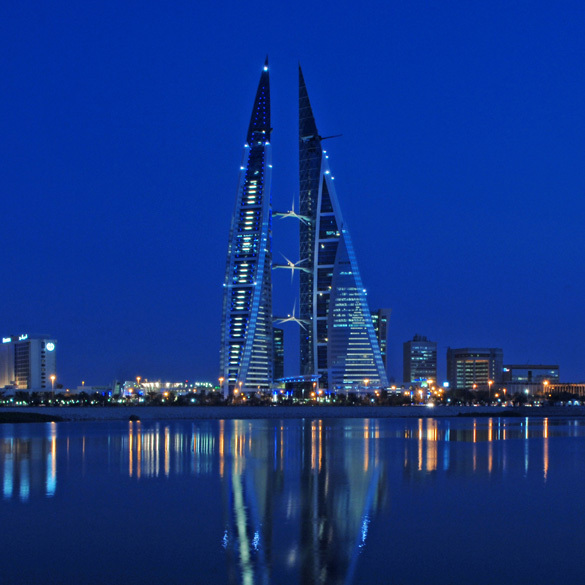 Tabreed Bahrain has been supplying district cooling services to Bahrain Financial Harbour Since 2009. Located off Manama’s northern shore, and minutes away from the Bahrain Financial Harbour, Reef Island is ideally situated in the heart of Manama, the Gulf’s, and one of the world’s, fastest growing financial centers. 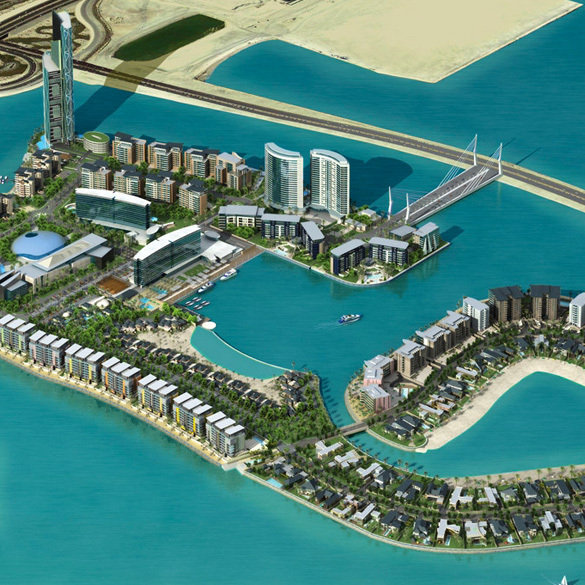 Tabreed Bahrain has been supplying district cooling services to Reef Island since 2010. Being over 240 meters in height, the Bahrain World Trade Center provides spectacular views of the Arabian Gulf and Manama’s cityscape. The center features a range of high-tech structures that are fully integrated into the building, and is comprised of office space and a shopping complex housing 150 retail outlets and dining facilities. Tabreed Bahrain has been supplying district cooling services to Bahrain World Trade Center Since 2006.